Chinese President Xi Jinping is the only other world leader to receive the award - Order of St. Andrew. It was established as the first and highest order of chivalry of the Russian Empire in 1698. Prime Minister Narendra Modi will be awarded Russia's highest civilian award - Order of St. Andrew. One of the reasons why the Modi received the award was due to his efforts promoting the partnership between India and Russia. China's President Xi Jinping is the only other world leader to receive the award. 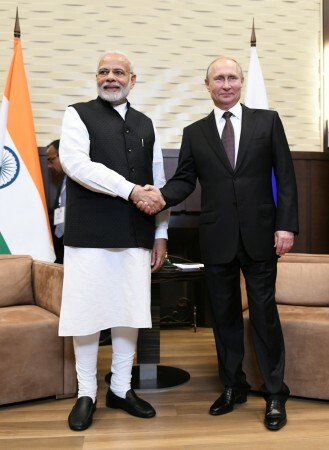 "On April 12, 2019, Indian PM Narendra Modi was decorated with Order of Saint Andrew the Apostle -highest state decoration of Russia - for exceptional services in promoting a special and privileged strategic partnership between Russian and India," the Indian embassy in Russia tweeted on Friday. What is the Order of St. Andrew? The Order of St. Andrew is the highest merit which could be bestowed upon a civilian in the Russian Federation. This award was abolished during the time of the USSR but was reinstated in 1998. The awardee will receive a badge with a star insignia. The badge will consist of a double-headed eagle with a blue St. Andrew's cross. The arms of the cross will bear the Latin letters 'SAPR' or 'St. Andrew, Patron of Russia'. 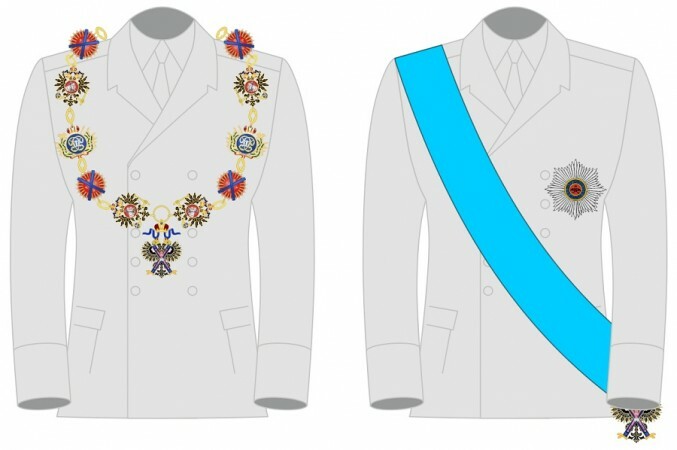 This is will be worn by the awardee on a blue sash over the right shoulder or sometimes on a chain around the neck. The award also consists of a star with eight points on a small badge which will be worn on the left breast. The star is placed on a gold coloured background with the motto 'For Faith and Loyalty' inscribed on a blue ring. This award has come after the UAE government bestowed its highest civilian honour to PM Modi, the Zayed medal, for his role in strengthening the ties between the two countries. PM Modi had also received the UN Champions of the Earth Award 2018, which is the organisation's highest environmental honour for a person. The UN had said that PM Modi was given the honour for promising to end the use of plastic by 2022 as well as for supporting the International Solar Alliance. In February 2018, the PM was conferred with 'Grand Collar of the State of Palestine', the highest honour which could be received in the country. PM Modi was awarded this for being the first PM to visit the war-torn middle-eastern country.